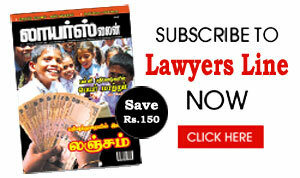 Welcome to Thiruthalam.com - We brings you in a spiritual world : This is a journey of self-discovery, realization, and spiritual and personal growth. The Church of the Holy Sepulchre, known as the Church of the Resurrection (Anastasis) to Eastern Orthodox Christians, is a church in the Old City of Jerusalem that is the holiest Christian site in the world. It stands on a site that encompasses both Golgotha, or Calvary, where Jesus was crucified, and the tomb (sepulchre) where he was buried. The Church of the Holy Sepulchre has been an important pilgrimage destination since the 4th century. The Holy Sepulcher or the Sacred Tomb, in Arabic called Al-Qeyamah, which means the Resurrection. It is no doubt the most important shrine in the Christian world. On the grounds of the Holy Sepulcher it is believed that Jesus Christ (pbuh) was crucified, buried and rose from the dead. Today the keys to the basilica are in the hands of a prominent Palestinian Muslim family. The doors of the Holy Sepulcher open every morning at 7 am and close at 8 pm. This ceremony is performed in the presence of a Greek Orthodox, Armenian, and a Roman Catholic priest. Greek Orthodox, Armenians, Roman Catholics, Copts, Ethiopians and Syrian Orthodox all share rights to the church. These rights came as the result of a status quo agreement negotiated at the time of the Ottoman Turks 200 years ago. The agreement governs time and space for the Holy Sepulcher. The different communities conduct their prayers at appointed hours, filling the church with a continuous cycle of prayers. "And Jesus walked out of the city, carrying His Cross to a place called Calvary", which means in ancient Aramaic Golgotha, the Scull. There he was crucified. He was then laid in a new tomb provided by Joseph of Arimathea. The tomb was close to the place of his death. Pilgrims started visiting the Holy Sepulcher about 2000 years ago, on the resurrection day, when Mary Magdalene and the disciples of Jesus went to the Tomb and found it empty. The original Church was built by Emperor Constantine in the fourth century, after destroying the temple built by Herodian 132-135. Herodian built his temple in an attempt to erase any traces of Christianity and dedicated it to the gods Jupiter, Junon and Venus. But most of what we see today is the work of the Crusaders, who in the year 1149 built the great basilica over Calvary and the empty Tomb of Jesus. 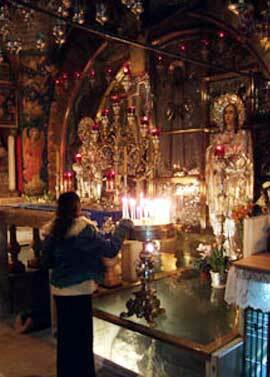 The basilica is a collection of chapels clustered around the rock of Golgotha and the tomb of Jesus (pbuh). In the early 1st century AD the site was a disused quarry outside the city walls. Tombs dated to the 1st centuries BC and AD had been cut into the vertical west wall left by the quarrymen. The topographical elements of the church's site are compatible with the Gospel descriptions, which say that Jesus was crucified on rock that looked like a skull outside the city (John 19:17) and there was a grave nearby (John 19:41-2). Windblown earth and seeds watered by winter rains would have created the green covering on the rock that John calls a "garden." The Christian community of Jerusalem held worship services at the site until 66 AD (at least according to historians Eusebius and Socrates Scholasticus, who wrote several centuries later). Even when the area was brought within the city walls in 41-43 AD it was not built over by the local inhabitants. The Roman Emperor Hadrian built a Temple of Venus over the site in 135 AD, which could be an indication that the site was regarded as holy by Christians and Hadrian wished to claim the site for traditional Roman religion. The local tradition of the community would have been scrutinized carefully when Constantine set out to build his church in 326 AD, because the chosen site was inconvenient and expensive. Substantial buildings had to be torn down, most notably the temple built over the site by Hadrian. Just to the south was a spot that would have been otherwise perfect - the open space of Hadrian's forum. The exterior facade of the Church of the Holy Sepulchre, on the east side of the church, was built by the Crusaders sometime before 1180. A double arcade with frieze at both levels are each surmounted by a cornice. The right entrance door was blocked after 1187 as part of Muslim control of the site after the Crusaders were defeated. Just inside the entrance to the left was the high bench where the Muslim doorkeeper sat: for years, a Muslim kept control of the keys to the church to prevent disputes between Christian sects over the holy site. Although this has been discontinued, the holiest site in Christendom remains carefully divided beween denominations who guard their portions jealously. The primary custodians are the Greek Orthodox, the Armenian Apostolic and Roman Catholic churches, with the Greeks having the lion's share. In the 19th century, the Coptic Orthodox, the Ethiopian Orthodox and the Syriac Orthodox acquired lesser responsibilities, which include shrines and other structures within and around the building. Times and places of worship for each community are strictly regulated in common areas. Back out in the courtyard, the west wall (to your left as you face the entrance) contains 11th-century Greek Orthodox chapels built over the site of the Constantinian baptistery. The east wall has a small domed structure that was once the 12th-century Crusader entrance to the Church on Calvary. It later became the Chapel of the Franks. Immediately inside the entrance to the church is the Stone of Unction, which commemorates the preparation of Jesus' body for burial. This limestone slab dates from 1808, when the prior 12th-century slab was destroyed. Ownership of this site has varied over the centuries, but it now belongs to the four main sects: the opulent lamps that hang over the stone slab are contributed by Armenians, Copts, Greeks and Latins. Behind the Stone, a mosaic depicting Christ's anointing for burial decorates the outer wall of the Catholicon (on which see below). The Constantinian and Crusader churches did not have this wall, so one could see to the Holy Sepulchre from the entrance. A stairway on the right just inside the entrance leads to Calvary (or Golgotha), the place where Jesus was crucified. The first chapel is the Catholic (Franciscan) Chapel of the Nailing of the Cross, which is Station 11 on the Via Dolorosa. It features a 12th-century mosaic of Jesus being nailed to the cross on the vault and a Medici altar from Florence. Through a window in the south wall the Chapel of the Agony of the Virgin can be seen. Just to the left of the altar is a statue of Mary, Our Lady of Sorrows, which is Station 13 (Jesus' body removed from the cross and given to Mary). Adjacent to the Catholic chapel is the Greek Orthodox Calvary, which contains the actual Rock of Calvary (Station 12) around which the church was built. The rock can be seen under glass on either side of the main altar, and beneath the altar there is a hole that allows you to touch the rock itself. The slot cut for the cross is shown in the east apse along with those of the two thieves. Directly beneath Calvary on the main floor (entered through a door next to the Stone of Unction) is the Chapel of Adam, which enshrines a cracked slab of rock behind glass. This identification with Adam is based on the ancient tradition (noted by Origen in the 2nd century) that Christ was crucified over the place where Adam was buried. The crack in the rock is said to be caused by the earthquake that occurred during the Crucifixion. Archaeologists suggest it was probably an original flaw that caused the workmen to abandon this section of the old quarry. At one time, the tombs of the Crusader kings Godfrey of Bouillon, Baldwin I and Baldwin V were near the entrance to this chapel; they have long since disappeared. Walking to the west from the Stone of Unction, visitors arrive at the focal point of the Holy Sepulchre Church. The round area of the church, known as the Rotunda or Anastasis, preserves the location and shape, and a few original columns, of Constantine's 4th-century Church of the Resurrection built on the site of Christ's tomb. The Rotunda is surmounted by a large dome, completed in the 1960s. This is decorated with a 12-pointed star (1997) whose rays symbolize the outreach of the 12 apostles. The diameter of the dome is about 20.5 meters; the height is 34 meters. Underneath the large dome is the Tomb of Christ itself, enshrined in a large, boxy shrine. The shrine, referred to as the edicule, is supported by scaffolding on the outside due to earthquakes and is not terribly attractive. The current structure was built in 1809-10 after the severe fire of 1808. It replaced one dating from 1555, commissioned by the Franciscan friar Bonifacio da Ragusa. (The original 4th-century shrine constructed under Constantine was destroyed by the sultan Hakim in 1009.) The Armenians, the Latins and the Greeks serve Liturgy daily inside the Holy Sepulchre. It is also used for the Holy Saturday ceremony of the Holy Fire, which is celebrated by the Greek Orthodox Patriarch himself. Inside, the shrine contains two small rooms. The first is the Greek Orthodox Chapel of the Angel, which features an altar containing a piece of the stone rolled away by angels at the Resurrection. In the wall by the entrance, steps lead to the roof of the edicule. A low door on the opposite side leads to the tiny Chapel of the Holy Sepulchre, which contains the tomb of Christ itself. This is the 14th Station of the Cross and the holiest site in Christendom. Here a marble slab covers the place where the body of Christ was laid and from which he rose from the dead. A vase with candles marks the spot where his head rested. The slab was installed here in the 1555 reconstruction and purposely cracked to deter Ottoman looters. After visiting the tomb, walk around to the back (west) of the edicule to an ironwork, cage-like structure containing the Coptic chapel. Beneath the altar is another piece of Christ's tomb. Opposite the Coptic chapel, inside a rough-hewned apse at the far west end of the Church is the Syrian chapel. To the right (north) of the sepulchre is the Roman Catholic area, which consists of a large square chapel (the Chapel of St. Mary Magdalene) and another private chapel for Franciscan monks. The former is held to be the site where Jesus appeared to Mary after his resurrection. In the Crusader era, this chapel was approached from the street to the west via an impressive entrance portal. Just opposite the entrance to the Sepulchre is the large nave of the church, which has been enclosed by a wall on all sides. Known as the Catholicon, this Greek Orthodox cathedral features a large iconostasis flanked by the thrones of the Patriarchs of Jerusalem and Antioch. Above is a colorful cupola, which dates from after the 1927 earthquake, decorated with an image of Christ and other icons. At the east end of the north aisle is the the chapel of the Prison of Christ, which according to 12th-century tradition housed Jesus and the two thieves before the Crucifixion. The first known mention of this is in the 8th century, by Epiphanius the Monk. The chapel probably originated as a liturgical station where the Passion and Death of Christ were commemorated. Taking a right at the Prison leads into the ambulatory of the Crusader church, which has three chapels located in three apses: the Greek Chapel of St. Longinus (the Roman soldier who pierced Jesus' side and then converted) in the northeast corner; the Armenian Chapel of the Dividing of the Robes in the center; and the Greek Chapel of Derision or the Crowning of Thorns in the southeast apse. The latter contains a relic of the Column of Derision. Between the last two chapels is a stairway that descends to the large Chapel of St. Helena, which is owned by the Armenians and known to them as the Chapel of St. Gregory. On the stairway walls are many small crosses carved by medieval pilgrims. The chapel has three aisles and two apses: the north apse is dedicated to the penitent thief; the south apse to St. Helena, mother of Constantine. A seat in the southeast corner of the chapel is said to have been occupied by Helena as she searched for the True Cross, a story first mentioned around 351. From this corner, 13 more steps descend into the Chapel of the Finding of the Cross. The left side is owned by the Catholics, whose altar features a life-sized statue of St. Helena holding a cross. The Greeks have the right side of the chapel. After you leave the Church, you might wish to stop by the buildings that have their entrances in the east wall of the courtyard: the Coptic Chapel of St. Michael the Archangel, which includes a staircase leading to the Ethiopian Orthodox Chapel and the Coptic convent to the northeast; the Armenian Chapel of St. James; and the Greek Monastery of Abraham in the southeast corner of the court.